Measurements: 2mm. w/ a 0.8mm hole. Very similar size wise to 11/0 seed beads. Quantity: Approx 200 pieces per pkg. 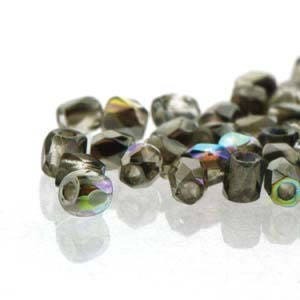 Additional Information: These 2mm faceted beads integrate seamlessly with other small beads and seed beads.